What it does: Helps mild acne and pimples. 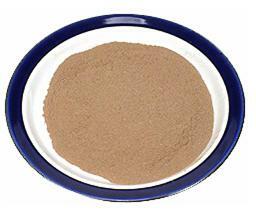 How to do it: Mix sandalwood powder (can be found in most herb stores) with water to make a paste. You can add turmeric also if you have it. So its 1 part sandalwood powder, 1 part turmeric powder, and 1 part water. Dab on pimples. You can either leave this overnight or wash off after leaving on for 30 minutes. Why it helps: Sandalwood is an herbal antiseptic and has cleansing properties. I’m indian so this sounds very familiar, my mother used to tell me about it. sandalwood as an ingredient..they do not work.. However commerical exploitation of sandal wood has ensured that the one that you get in domestic markets in India is sub standard or coloured, or uses some chemical perfume to mimic an orinignal. plz say… will dis be d appropriate one.. i mean… my pimpels will go.. ? der wil be no side effects ryt?? lastly.. der r many 2 types brown and kind of light white. which one is the one to be used? Both red and white sandalwood are supposed to be good for the skin. Red appears to be more popular though. No one can say if this will work for your pimples or not, as everyone’s skin is different. The only way you’ll know is to actually try it (as is true with almost everything in life). can you tell me what sandalwood is called in hindi/urdu please,and does anyone no where you can buy it in the uk? im from the uk and am having trouble finding it,does anyone know where i could get it? its in flour form and you got to add water to make a paste and leave on for abt 1-2 hrs. for my skin. Theres abt 3 diff colors to this powders! Yes, that’s how sandalwood powder is made—by grinding the bark. Where do i buy sandalwood power? Very useful information. Can i add raw milk instead of water in sandalwood powder? Yes, milk can make a good base as well. Can lemon juice be used nstead of water?